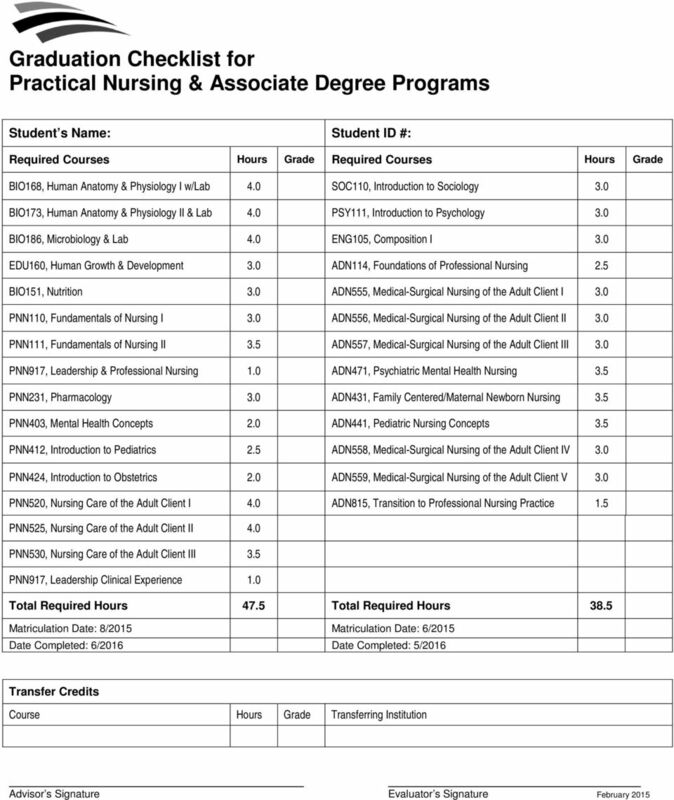 Download "Practical Nursing Program Entrance Requirements"
1 Practical Nursing Program Entrance Requirements We are happy to learn of your interest in the Practical Nursing Program. In order to complete your Nursing Admissions Folder, the following items must be submitted to the college Admissions Office: Application for college admission completed. Application for the Nursing Program completed. Official high school transcript or GED equivalency required. Official transcripts from other colleges you have attended (if applicable). 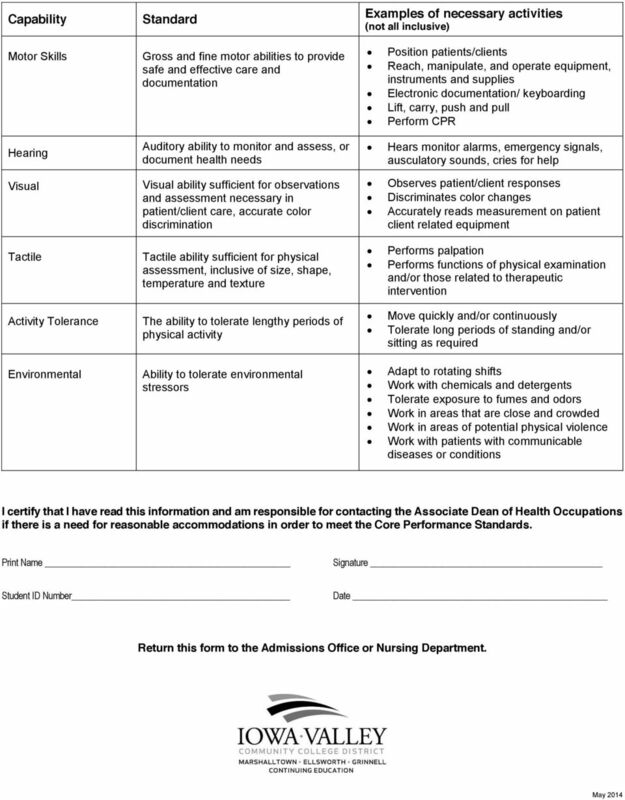 The Iowa Core Performance Standards for Health Career Programs form must be reviewed, signed, and returned to the Admissions Office. 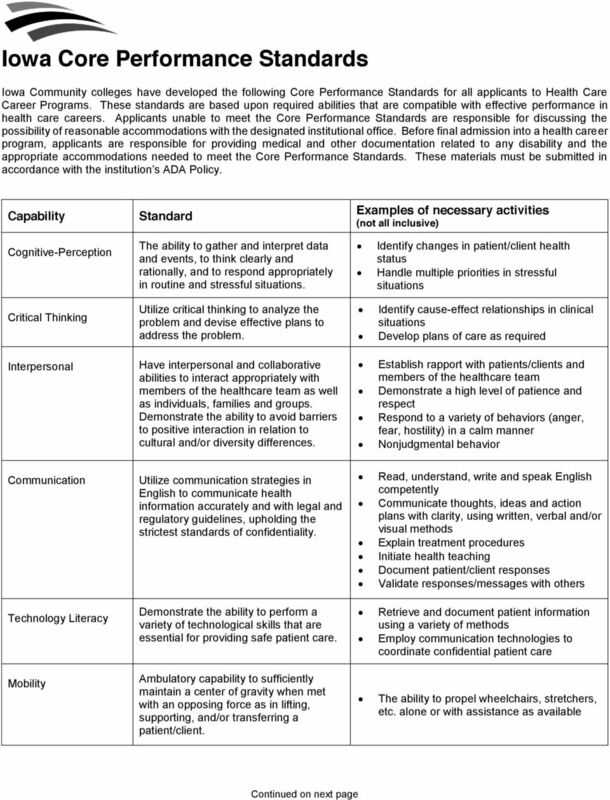 Applicants unable to meet the standards must discuss the possibility of reasonable accommodations with the program coordinator at All students must earn an ACT composite score of 18 or higher OR pass the Test of Essential Academic Skills (TEAS) version V prior to acceptance into the Practical Nursing Program. The TEAS-V is an assessment developed by Assessment Technologies Institute LLC that consists of subtests in Reading, Mathematics, Science, and English. It is required that students wait until they have completed and passed BIO 168 to take the TEAS-V exam. To take the TEAS-V Exam, please contact Jan Sauerbrei at Ellsworth Community College ( ). Minimum required TEAS-V test scores are: Content Areas % Required Score Reading 69 Mathematics 63 Science 46 English and Language Usage 60 Note: ACT & TEAS-V scores must have been completed in the past 5 years. * Please note the COMPASS test is still an admissions requirement for the District (Marshalltown Community College, Ellsworth Community College and Iowa Valley Community College Grinnell). The COMPASS test scores are still required for admission due to some college courses requiring the test as a pre-requisite to enrollment. Nurse Aide Requirement: 1. Documentation of successful completion of the Iowa Nurse Aide written and skills certification exams for placement on the Direct Care Worker Registry. 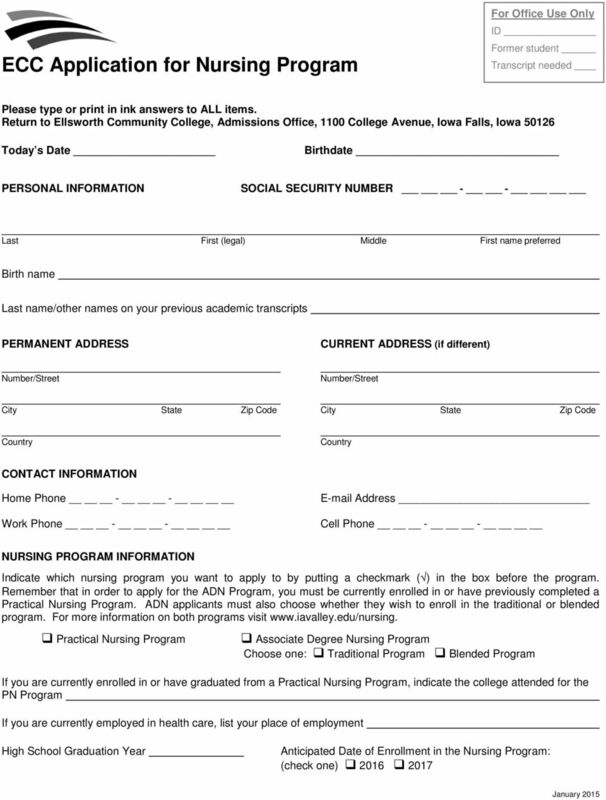 A transcript indicating you passed both tests or an Iowa Nurse Aide Registry Card will serve as verification. 2. The 75-hour Nurse Aide course is HIGHLY RECOMMENDED, but not required at this time. Must complete the following general education courses with a C- or higher prior to entry: BIO168 - Human Anatomy & Physiology I (4 credit hrs); BIO173 - Human Anatomy & Physiology II (4 credit hrs); BIO186 Microbiology (4 credit hrs); EDU160 - Human Growth & Development (3 credit hrs) and BIO151 - Nutrition (3 credit hrs). NOTE: All science courses must have been completed in the past 10 years. Must have a cumulative grade point average (GPA) of 2.7 or higher in the 5 courses listed above. As an applicant for the nursing program, you are responsible for turning in all required documentation to the nursing office associate. 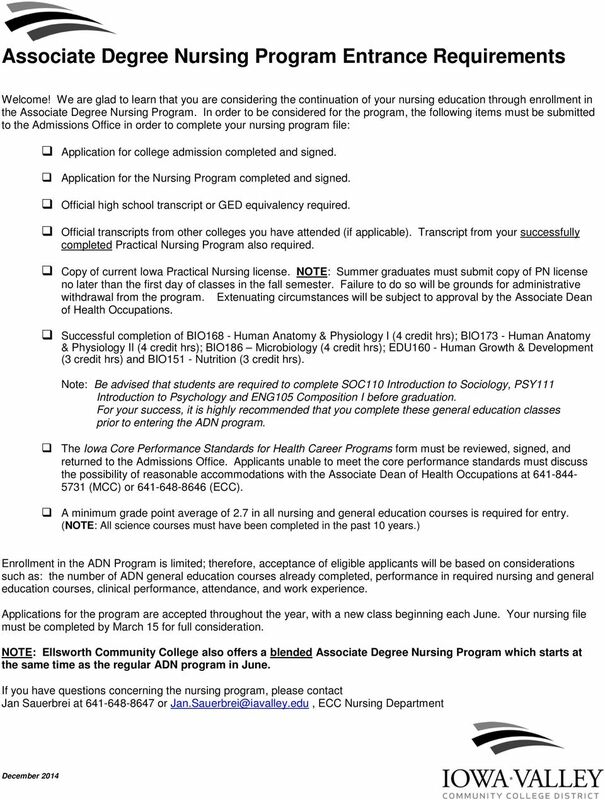 NOTE: If you have questions about the nursing program, please contact Jan Sauerbrei at or ECC Nursing Department. Paramedic 2014 2015 What is a Specialist Certificate? 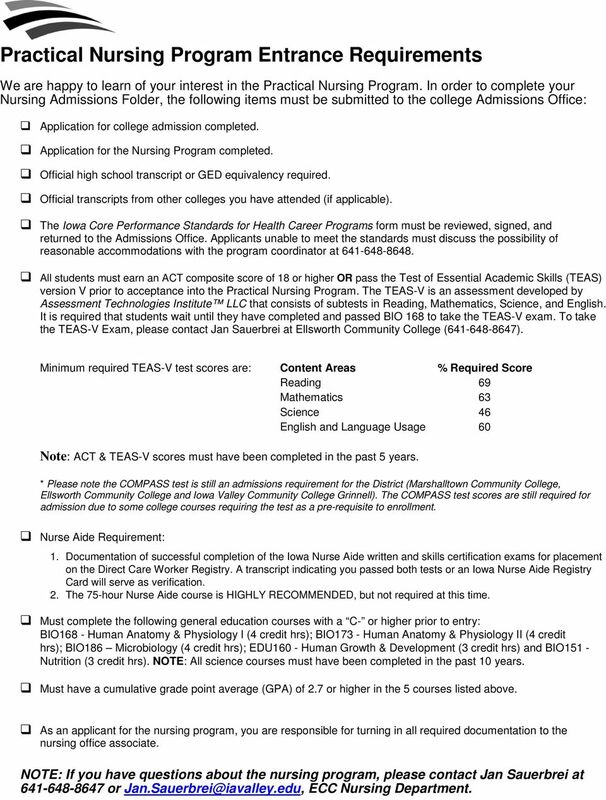 2014 RESPIRATORY THERAPY PROGRAM APPLICANT ADMISSION INFORMATION Application Deadline: March 15, 2014 NOTE: CVCC reserves the right to change curriculum and admission requirements without prior notice. Date of application: Name (Last) (First) (Middle) (Maiden) VCC ID# Home Address City, State, Zip, County Telephone Number (Home/Day time): Male Female Race Birth Date Atlas Email Address: Are you a U.S.